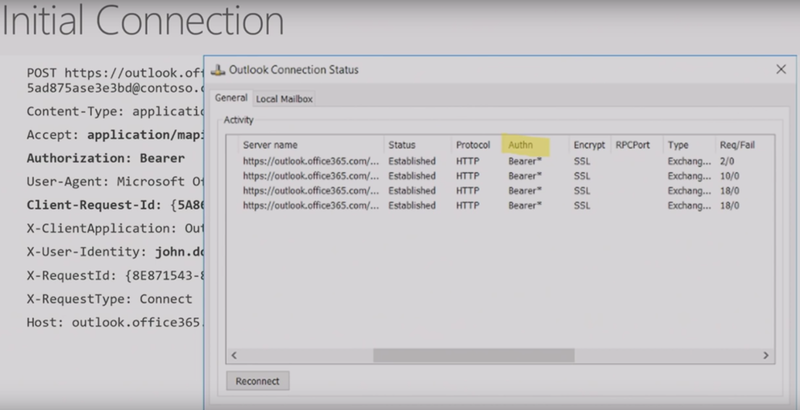 We will go through how modern authentication works when a user is trying to use Outlook client with modern authentication to connect to his mailbox in Exchange Online. Outlook user is trying to connect to a service which is Exchange Online [EXO]. Now, I go my ADFS server, authentication, and then I will get SAML token, then I will send that SAML token to Azure AD. Exchange Online will take my access token and let me in. 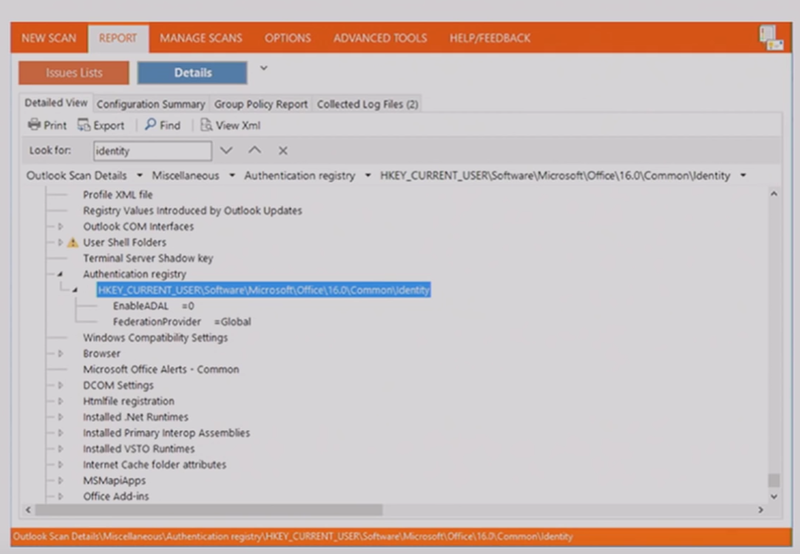 If we use Fiddler to see what is happening, we can see that the Authorization is Bearer, and of course if you open Outlook Connection you will see that the Authn is now Bearer* instead of Clear*. When I need to re-authenticate? Since EXO is authenticating me using my access token (not refresh token) and that access token is short lived (an hour), then I may need to re-authenticate as soon as my access token is expired. Now instead of doing all the previous authentication workflow, and since I already have a valid refresh token that is not expired yet, I will use that refresh token to authenticate to Azure AD and get a new access token without the need to get back to my ADFS [STS] and authenticate there. 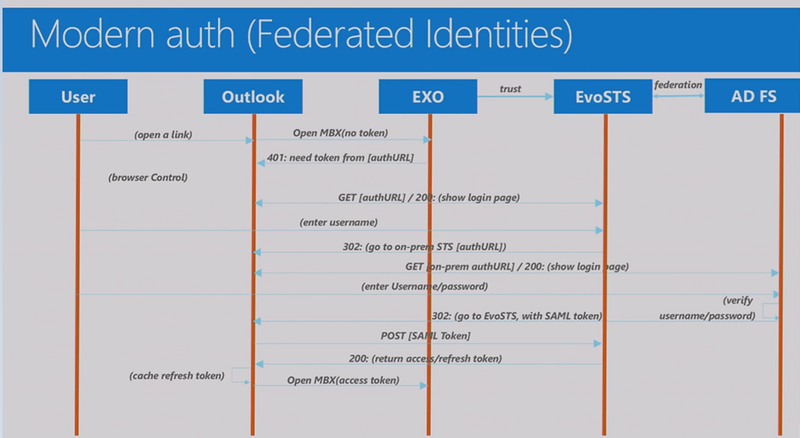 Outlook will contact EXO and present the expired access token. EXO will do 401 access token invalid and ask for new access token. Outlook will check if the machine has valid refresh token. If found, it will pick up that refresh token, talk to Azure AD, authenticate using that refresh token, and then get a new valid access token that can be sent to EXO. First of all make sure you are using Office 2016. Make sure you have the latest patches. Use Office Configuration Analyzer Tool http://aka.ms/offcat.